Busy. Panorama of the traffic on the streets of Moscow. Crimean Bridge and International business centre. 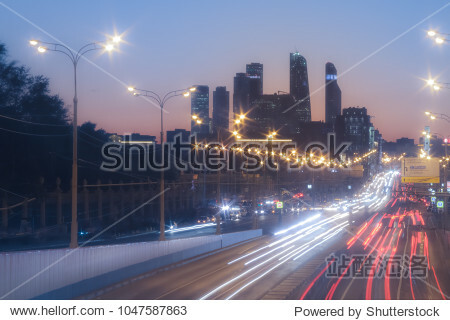 Long exposure night Highway Traffic.